Let me quickly share the list of things / moments that I am grateful to God this month. A heap of books is yet to arrive! I won them on #TornadoGiveAway. So, keeping my book shelf ready to add 25 books to my personal library. 2. A few things didn't happen the way I wanted to in this month. Got more clarity on my future decisions and I am thinking positive to make things work as I planned to. Let's see what's in future, but thanking God for giving me patience and positive spirit. 3. This month started with a celebration. Yes, it's the first birthday party of my younger son. It's nice to celebrate with family. Good family time as part of Dusserah celebrations too! 4. I have to mention this. My inspiration is APJ Abdul Kalam. Got the opportunity to read a book on the collection of articles, speech and interviews about him. 5. Learnt a lot about blogging, monetizing, product reviews etc., Have to try my hands on slowly. Last, but not the least. I have bought a custom domain for my blog :-) Will move to that domain soon when I get some time. 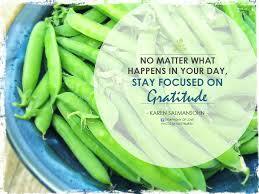 Linking this to Gratitude linkup hosted by Laurel. 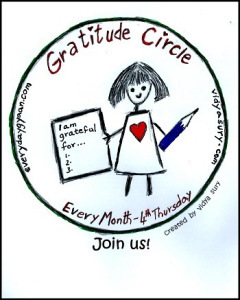 Also, linking this to Gratitude circle hosted by Vidya Sury and Corinne from everydaygyaan. Think Positive, be Active and Enjoy Life. Image courtesy: from google images tagged with non-commercial reuse.